Cubot Power uses 5.99-inch ultra-clear full screen, it also has great handling grip. The 18:9 aspect ratio allows you to see a wider scene on the screen. no matter you watch movies or play games, you will be attracted by the immersive screen effect. 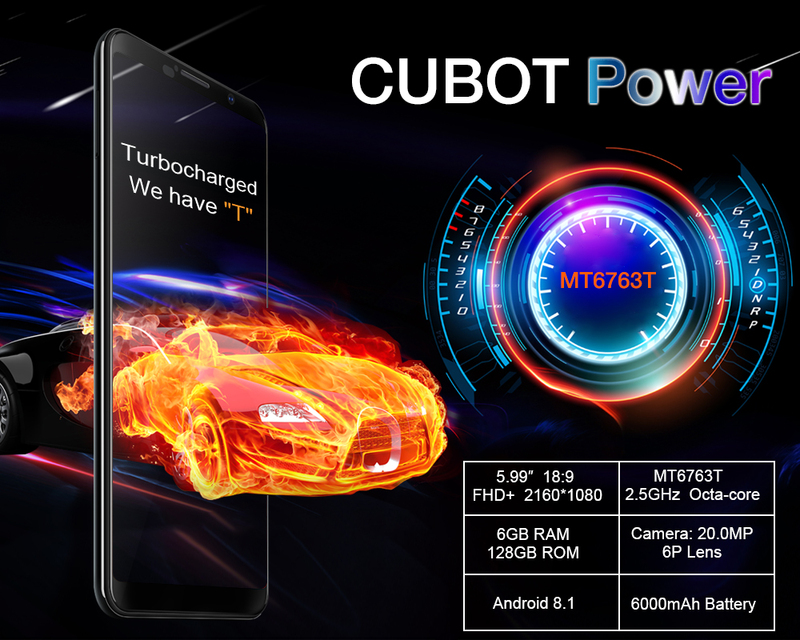 Cubot Power uses Helio P23 (MT6763T) processing chip, eight cores, the highest frequency is up to 2.5GHz, thanks to the advanced 16nm process technology, the chipset provides higher performance and lower power consumption at the same time. 6GB Ram supports multi-applications running at the same time. 128GB storage stores lots of HD movies, pictures, high-quality music and so on. It also supports extensible 256GB, you have twice of the original space. In order to allow customers to experience the purest operating system, Cubot Power is pre-installed with the original Android 8.1 system. Apart from Google’s own software, there is no third-party advertising APP. In addition, Google has perfectly solved Android fragmentation in Android 8.1 and rewrote the system’s underlying code, it’s not easy for the phone to be slow as time goes by. Compared with ordinary 5P lens, the advantage of 6P lens lies in its ability to collect more light, thus enhances the resolution and increases contrast of the lens. Thanks to the 20MP camera with 6P element lens, F/2.0 Large Aperture, Cubot Power takes photos with good effect, both in low light and backlighting, it performs well. 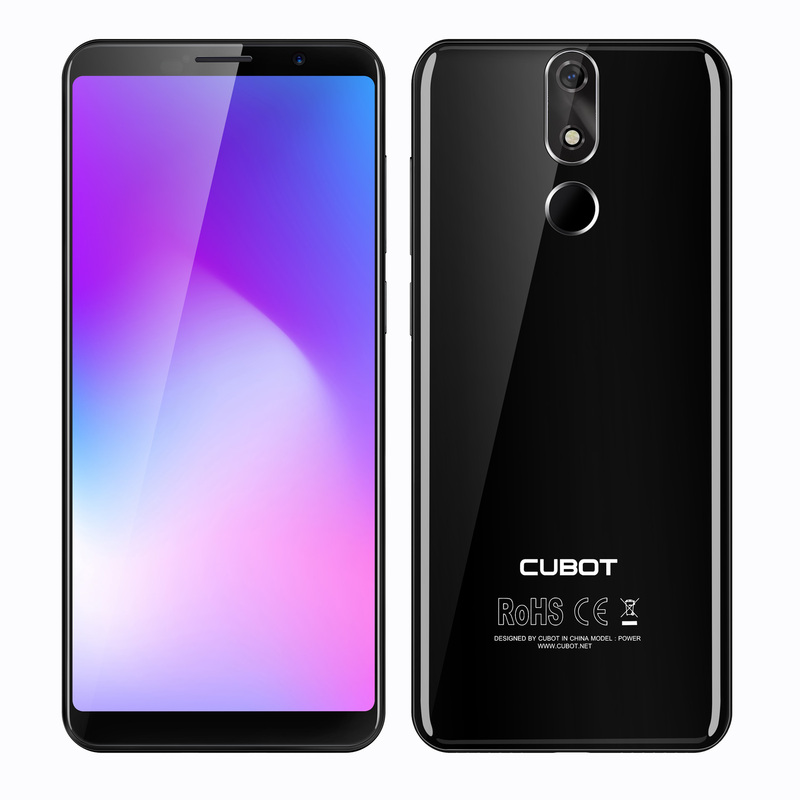 Cubot Power is equipped with 6000mAh polymer lithium-ion battery, supplemented by an intelligent power management system, which significantly extends the use time. 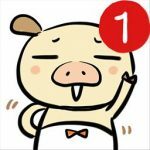 According to actual laboratory tests, it can take 50 hour – call, play 25 hour- video and listen to songs for 150 hours continuously. the standby time is 700 hours. Cubot Power supports 9V/2A fast charging technology, and it can easily deal with 6000mAh large capacity battery. In addition, there is the Type-C data interface and no heat problem.